park featuring the wholesome characters of her books. The annual children's literature award is known as the Astrid Lindgren Prize. The inspiration for this long and illustrious career, spanning five decades, is the author's own childhood. Her memories - of free and often wild play with her brothers and sister, of loving parents, of a close-knit farm community, of reading about heroines like Pollyanna and Anne of Green Gables - became the foundations of her books. Lindgren has said, "I write to amuse the child within me, and I can only hope that in this way other children as well can have a little fun." Lindgren amused her own children by telling them stories. 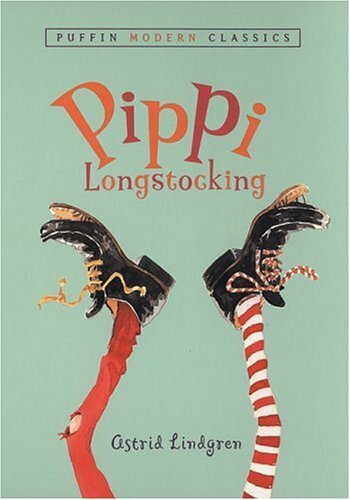 Her daughter, Karin, named Pippi Longstocking, and the first written story was given to Karin as a birthday gift. The next year, 1945, Pippi Longstocking won a best children's book competition and Lindgren began writing the perennially child-pleasing stories that make up her enormous body of work, some of which are the series based on "Children of Noisy Village", the fable "The Tomten", the rambunctious "Karlson-On-the-Roof", the irrepressible"Lotta on Troublemaker Street" , the controversial "The Brothers Lionheart", and the unforgettable, wildly funny superheroine, Pippi, was featured in other books and became a star of stage, screen and television. Lindgren has been called the world's most read author of children's books. She is hailed as the third most translated children's book author after H.C. Andersen and the Grimm brothers. Her impact on the world of children's literature is immeasurable. Astrid Lindgren died in her sleep, in her home in Sweden on January 28, 2002 at the age of 94.